We often get asked if we make magnetic signs for cars – the answer is simple. Yes! These car magnetics are a great alternative to stickers, and offer a temporary branding for while you’re on the job. 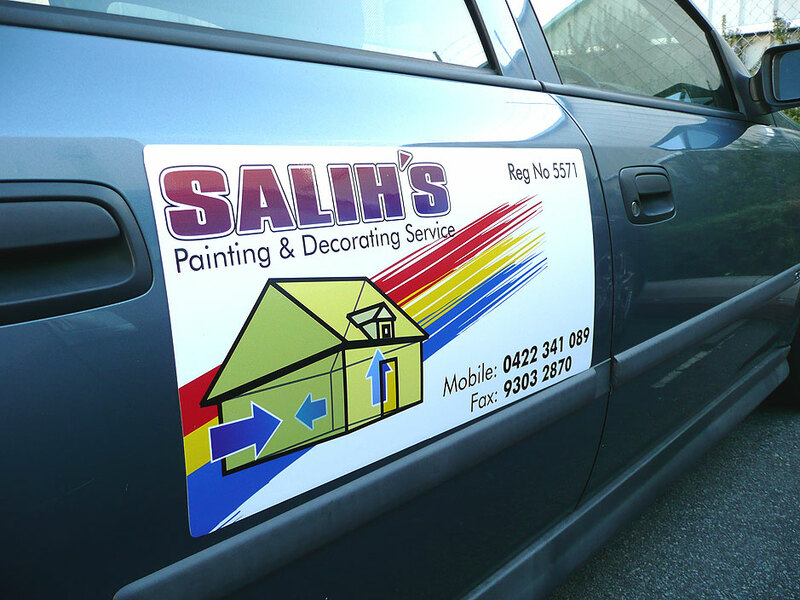 Made from a durable, vehicle grade magnetic, these signs can be done in full colour, or just one colour if required. The standard size is 600mm x 300mm, and they’re usually done in pairs.